Tuesday started off pretty good. With a week break for feeling sick, I was on fire. In fact, for the first hour and a half, I won all my games. I failed when I played two top guys. My partner was one of the top guys too, but not as good as our opponents. Before we started another friend suggested we change (so I was with the strongest guy and would have more of a chance) but that just made me more stubborn. “We can win this right?” I asked my partner. “I haven’t lost a game all day today.” He promised we could. We tried our hardest, using me to our advantage. See, the best guys won’t slam against the girls. They feel like it’s unfair and might hurt us. I think it’s a bit sexist (and how can I learn to return a slam if I don’t get them often?) but I have learned to use this and set myself in positions which makes it impossible for them to slam without slamming it to me so they don’t slam. So I can use their “chivalry” against them. Heh heh. It doesn’t always work, but it’s worked a few times which is enough for me. The problem comes from my feet, my back left foot should always be on the tippy toes in a certain position, yet I almost never do. So he finally told me to always keep my foot up. Running, standing, hitting, waiting, my left foot should never be flat. I actually kinda finally got his logic (it is quicker then flat footed) and I think with practice I might finally get these moves down. I also had a spy in class today. My teacher is well known in the gym we play. Always people come up to him and ask him a few questions during our class. But this week I had a partner. First he just awkwardly watched us for the first half (which I am not a fan) and then he shadowed me the second half, standing behind me doing what my teacher was telling me to do. Of course he didn’t hit the birdies, but he did all the footwork and body movement. He obviously knew my teacher and sometimes they talked and my teacher helped him which was annoying. (Not on my dime buddy.) Hoping he won’t be there again next week. Also, on my teachers WeChat he had put a pic of a trophy and said “congratulations Black Ants.” So I asked him if Black Ants was his team. He said yes and they had won a competition. “You know, one day I want to play in a competition,” I said. “Umm…no. In China.” I answered timidly. “Okay..” he said clearly averting his eyes. “A long, long time in the future,” I said. “Okay,” he said smiling non-commitedly walking over to the net. “Long, long time….” I added. Not the biggest confidence booster. Thursday I sadly gave up badminton because of dumb Thanksgiving. 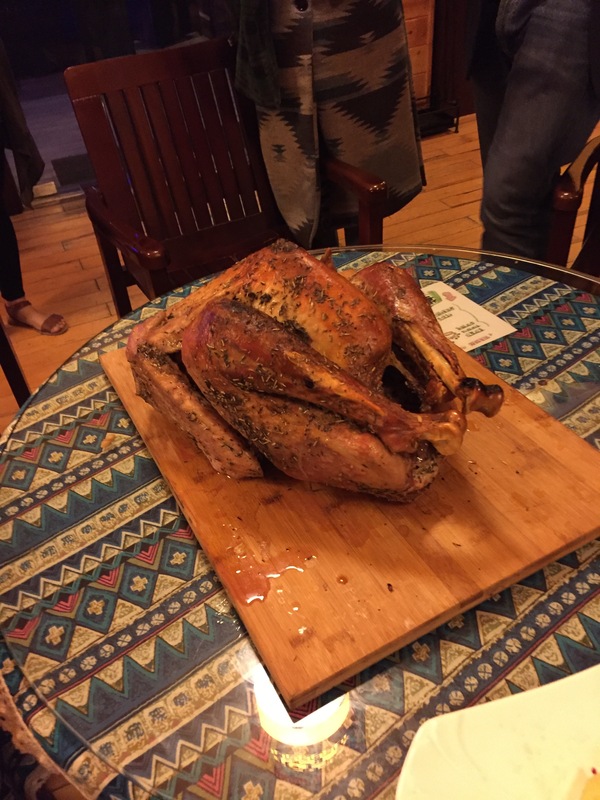 It was my first Thanksgiving dinner in China (you can read about it here) and I’ll admit I almost didn’t go because I didn’t want to miss badminton. But it was my national holiday, so I guess I could miss badminton for it (and a friend had a turkey so….) of course, when asked to say what I was grateful for I said “badminton” making my friends groan and laugh. They are so over me talking about it. But I don’t care.